Minor Update (May 6) - There was a minor change to the XML. Appears to be a minor bugfix that they didn't even mention in the patch notes. I didn't bother updating the version number for the mod, it should be a drag and drop replacement if you choose to upgrade, which is probably a good idea if you have the May 4 game patch. This mod was written by DrChillgood and I do not take any credit for doing anything more than updating it for the recent mod-breaking patch of March 26. No additional changes have been made or were required to the functionality of this mod. 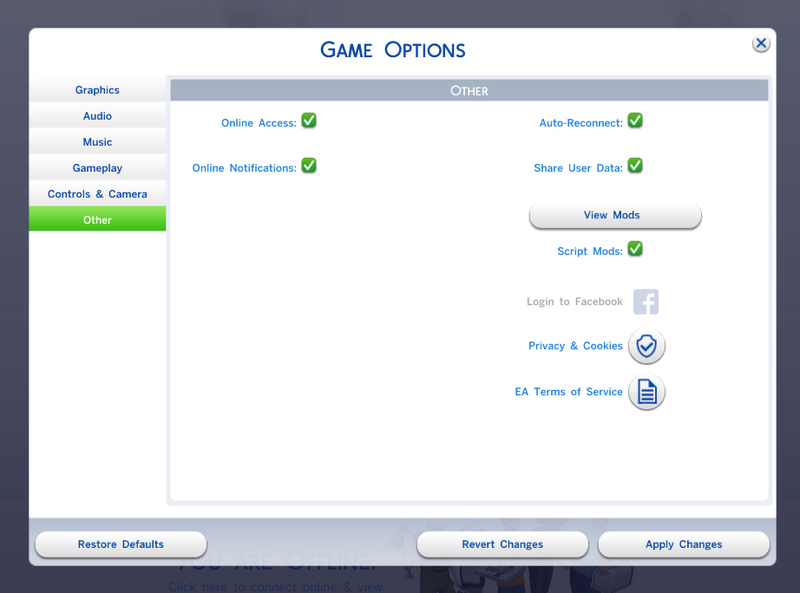 DrChillgood kindly gave permission for mod authors to update his mods, and I have chosen to update this mod so we may all continue to appreciate the fine work he did for the TS4 community. You can't afford to feed your kid. Sim Social Services to the "rescue"! As part of the process, they completely obliterate your child, leaving nothing, not even a ghost. I'm here to keep them at bay! You might not have been able to make dinner in time, but you can still keep in touch with his/her spirit. Two versions - "Kids Can Starve" and "Kids Can Die Of Anything". This way, you can have more types of ghost children. Technical info: I have disabled "Rescue Neglected Child" in the Hunger Motive (Statistic Instance 4110) and enabled the Hunger Death (Interaction Instance 33F3) for children. Kids Can Die Of Anything enables the Embarrassment (7E3A), Cowplant (33F2), Laughter (2451), Anger (2424), and Electrocution (21CA) Death interactions. I recommend using this with "Flunking Kids Don't Get Taken Away", to remove one more way the Sim Deletion Service deletes kids. My "No Emotional Deaths" should not cause a game-breaking conflict. 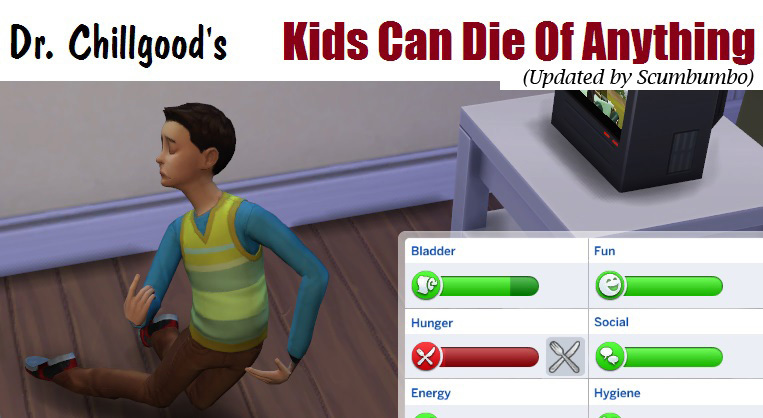 This mod enables the emotional death interactions for children, while No Emotional Deaths will prevent the Emotion Failure Idle interaction that calls the emotional deaths themselves from being called.